DUBAI — A major shift in the food buying preferences of Saudi consumers is unlocking huge two-way trade opportunities in the Kingdom, according to a recent survey by leading research provider, Nielsen. With Saudi’s domestic food producers receiving a confidence boost for their dairy, snacks, ice-cream, mineral water, tea and coffee production, a host of international suppliers are also reaping rewards from increasing demand for globally-branded baby food, energy drinks and canned foods in the Gulf’s largest market. As global brands maintain their traditional dominance in the preserved food categories, the survey highlights how Saudi consumers increasingly prefer locally produced dairy and fresh food products. The survey comes as Saudi and international food producers prepare for a major two-pronged trade push at Gulfood 2018, the world’s largest annual food and beverage trade event and the year’s first major international food industry trade show, which runs at Dubai World Trade Centre (DWTC) from Feb. 18-22. Saudi Arabian producers, buoyed by proven success as the Kingdom’s favorite dairy and fresh food choices, are readying for a major export push at the show, while sector-specific international brands are looking to cement their segmented leadership among Saudi consumers. “Though Saudi producers have made considerable inroads locally and regionally – where they’ve invested in diversified products, quality and brand equity — the Kingdom remains the land of opportunity for suppliers across the entire food production eco-system,” said Trixie LohMirmand, senior vice president, exhibitions & events, DWTC, which organizes the mega show. With Saudi’s population forecast to rise almost 2% to just under 35 million by 2020, according to the United Nations, the renewed focus on domestic production is designed to start off-setting the fact the Kingdom remains the GCC’s largest importer of food. Further demand is expected to emanate from the planned NEOM mega city, which has food as a key focus. The first phase of the project is due to be delivered in just seven years’ time. And yet, with the total number of food retail outlets in the country projected by Dublin’s Research and Markets to grow by 4.9% annually by the end of the decade, some 87 Saudi Arabian food producers representing diverse sectors, including Arrow Juice, Siafa Dates, Americana, Al Seedawi and Mahmood Saeed Beverage, will push their quality and competitiveness at Gulfood 2018 — a figure LohMirmand believes will continue to rise. 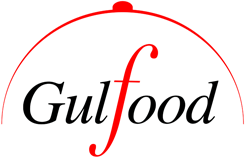 Saudi producers are among more than 5,000 exhibitors signed up for Gulfood 2018, which will feature eight tailored product segments to aid accessibility and give buyers more time to transact business. The segments include Beverages; Dairy; Fats & Oils; Health, Wellness & Free-From; Pulses, Grains & Cereals; Meat & Poultry; Power Brands and World Food. The all-new Gulfood Discover Zone, where new-to-market products will be showcased in an exclusive and interactive lounge, also joins the 2018 fray. The Zone is aimed at companies making their MENA region debuts by leveraging Gulfood to deliver market-entry opportunities. Finalists for the annual Gulfood Innovation Awards will also be featured in the Zone. 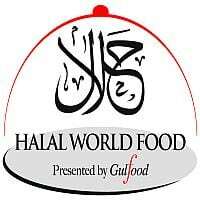 Gulfood 2018 will feature 120 country pavilions including new entrants Estonia, Nigeria, ProColu mbia, Serbia, Slovakia, and Tajikistan. The show will also receive a host of powerful national delegations including heads of state, ministers, government officials and trade associations eager to ink lucrative bi-lateral trade agreements.